TOP > Projects > Youth Projects > Teens' Photo Project > [Teens' Photo Project] The History of Pocket Monsters, "Pokemon"
[Teens' Photo Project] The History of Pocket Monsters, "Pokemon"
The first Pokemon video game was released in 1996. At that time, the Game Boy was old-fashioned, but Pokemon changed it. After the release of first game, Nintendo implemented many new functions that attract everyone in the world. This is the Pokemon Red version. It was released in February, 1996. Before this game, the communication cable of Game Boy was not well-known, but Pokemon used the cable not only for battle, but also for trading. This function made the cable essential to the game. This Pokemon Emerald was released in 2004. 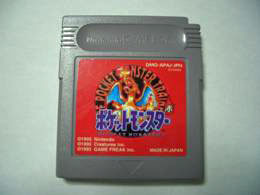 It is classified as its third generation, and this game was the last Pokemon game released for the Game Boy Advance. 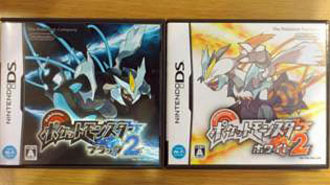 Pokemon Diamond and Pearl were the first Pokemon game released for Nintendo DS. It was the fastest game to achieve a million unit sales, and the first game to achieve 5 million unit sales. This game contains Wi-Fi function, and it enabled people from all over the world to battle and trade Pokemon. 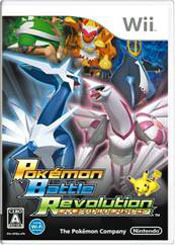 This game was released for Wii, after Diamond and Pearl had come out. It corresponds to the fourth generation Pokemon game. 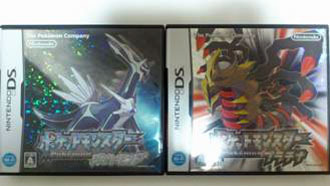 Unlike the game for DS, battles are in 3D and graphics are improved. These games are the latest Pokemon game. Many functions were added. In the previous game, Pokemon did not move during battle, but in this game they move and it looks more real. 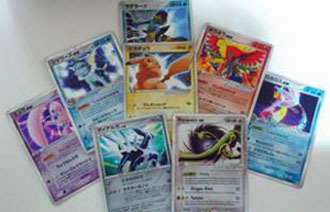 Pokemon is not only for video games; it is also in the world of trading card game. All Pokemons have their own card, and there are many variation of the card for each Pokemon. Many games have been released since 1996. Pokemon is the most well-known RPG. It's not an exaggeration to say that every child in the world plays or knows "Pokemon". Now Pokemon is the most famous game in the world. Child Research Net would like to thank the Doshisha International Junior/Senior High School, Kazuki Arinaga, student and author, for permitting reproduction of this article on the CRN web site.